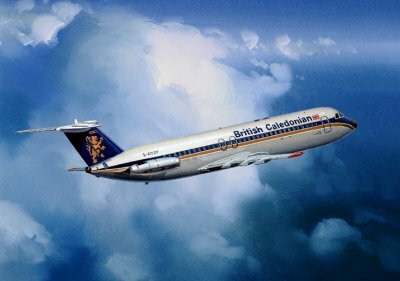 A British Caledonian Vickers V.C.10 departs London Gatwick on another scheduled service. 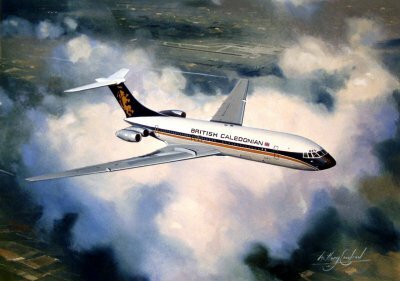 This Vickers design is one of the cleanest and most beautiful airliners of the modern age. 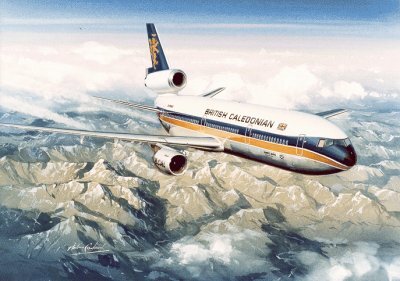 With all the four Rolls Royce Conway engines mounted under the curved tail it made the cabin the quietest aircraft to fly of its generation. 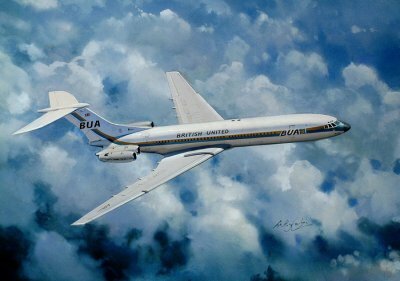 Released as a limited edition of just 250 this fine art print is by the artist Anthony Cowland G.Av.A.